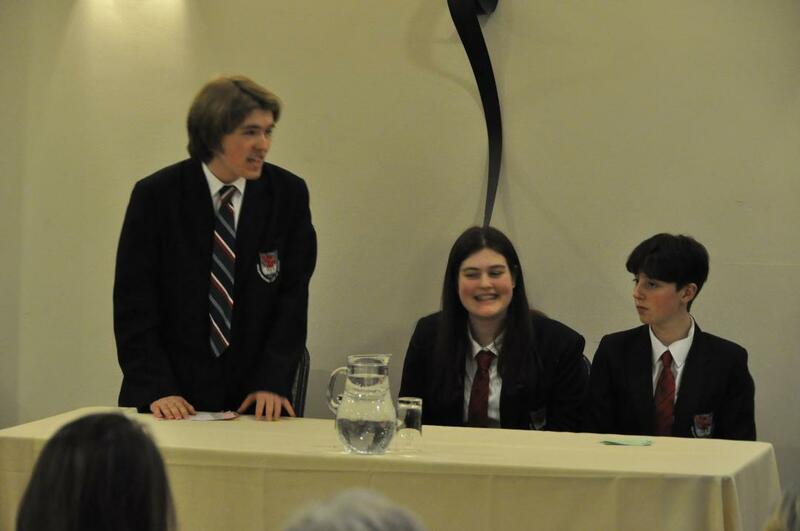 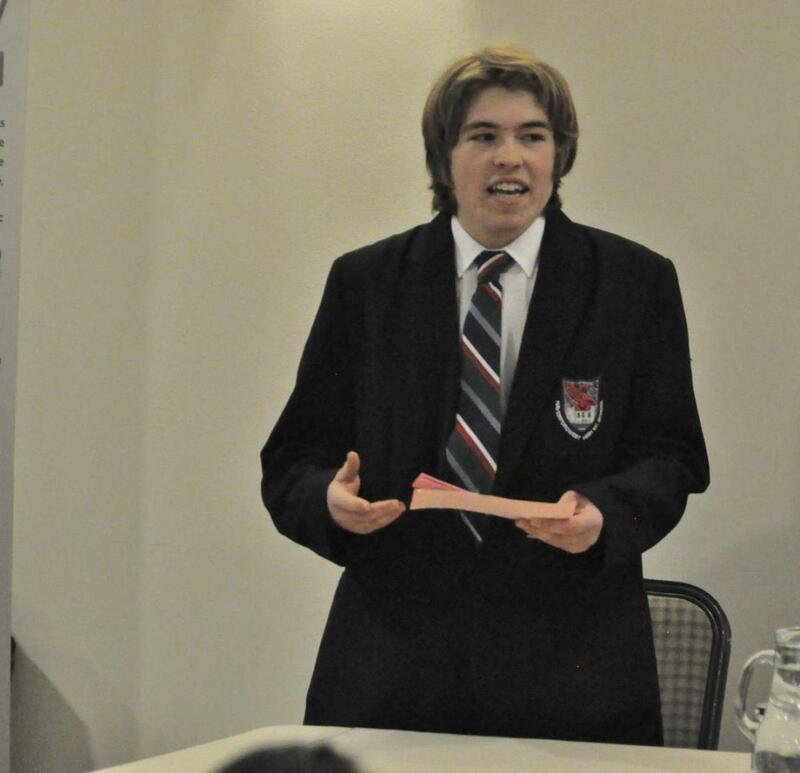 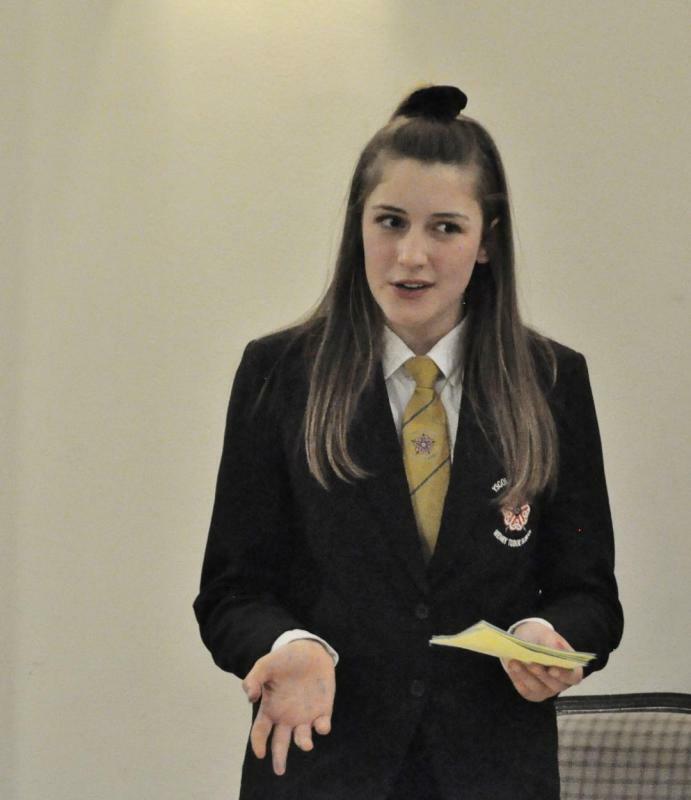 Report & photos of the Pembrokeshire Area Youth Speaks competition held at The Plas Hyfryd Hotel. 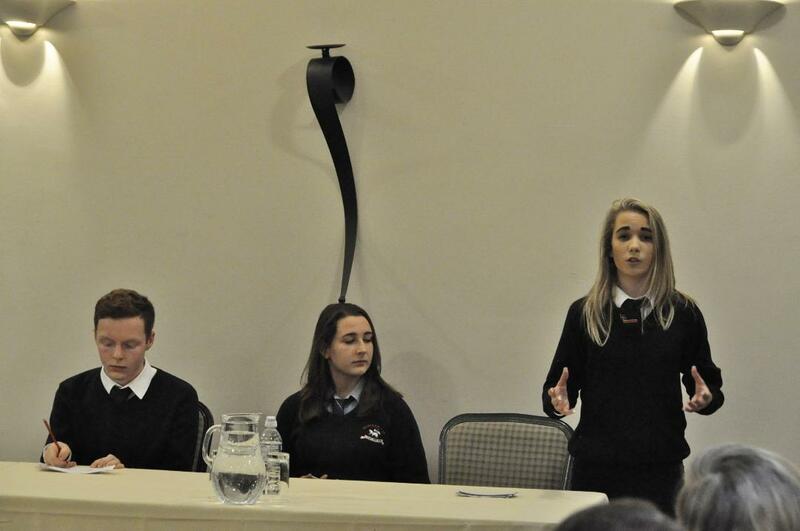 Narberth. 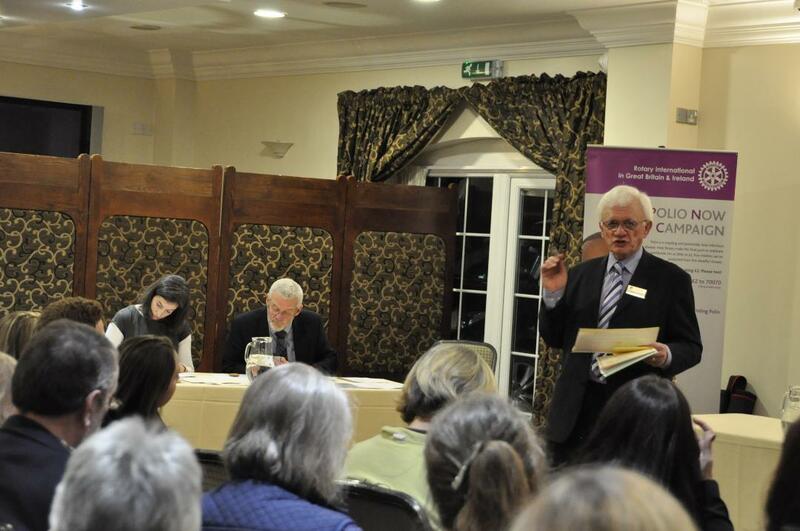 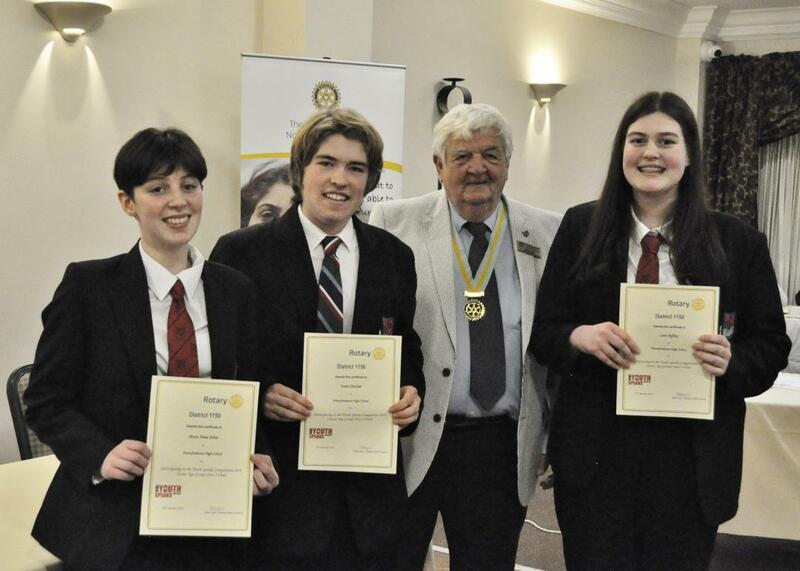 Recently The Narberth & Whitland Rotary Club hosted a Rotary District Debating Competition at The Hotel Plas Hyfryd. 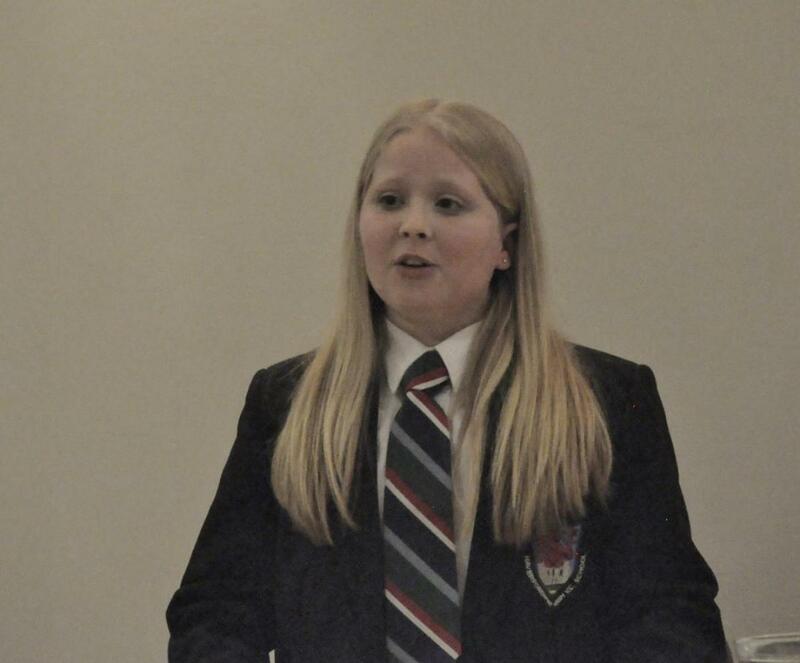 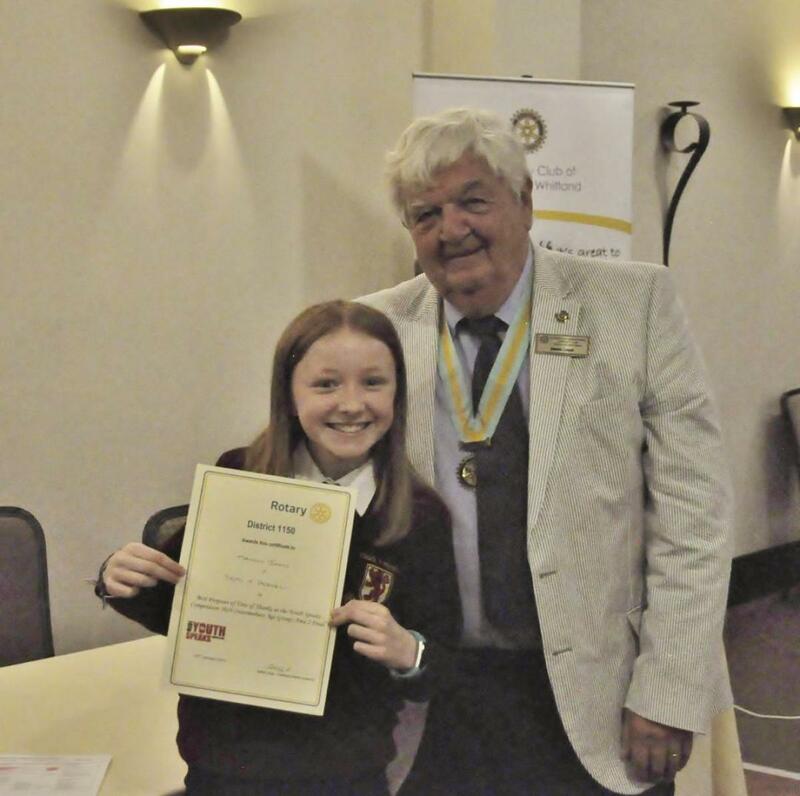 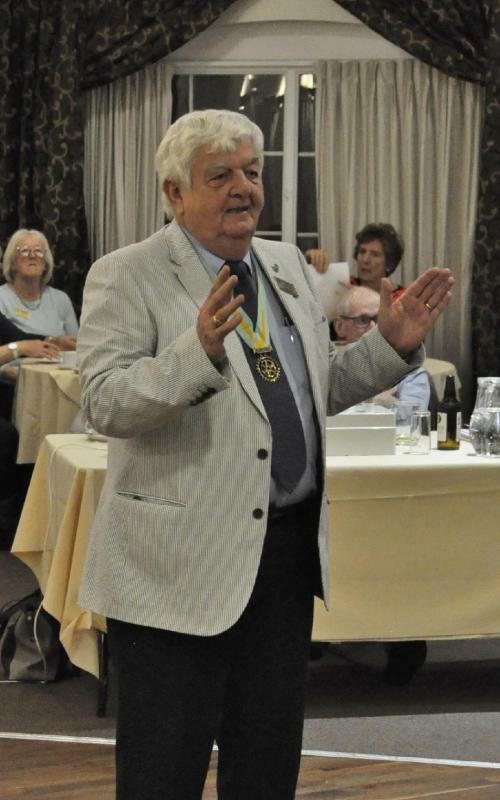 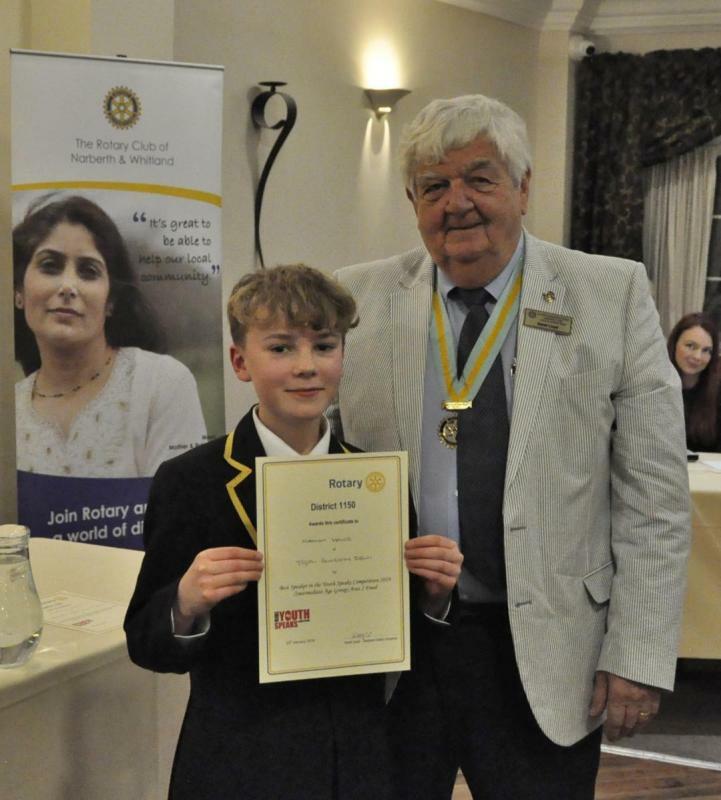 Organised by District Officer, Narberth Rotarian Robert Elward the occasion was The West Wales (Area 2) of Rotary District 1150 Youth Speaks Competition Finals. 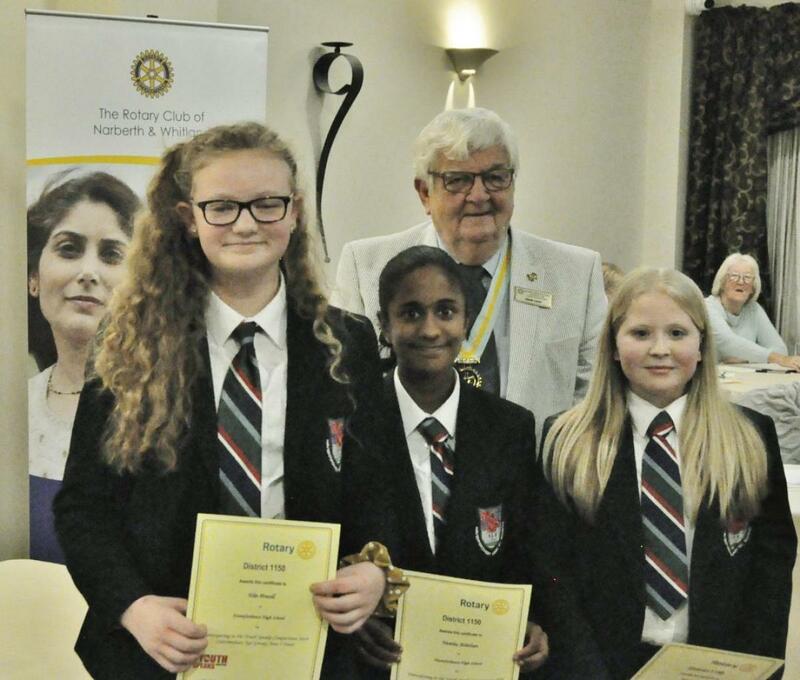 There was Large attendance of students, teachers, parents, relatives and Rotarians for the Two Competitions : Four teams of 3, all under 14 years of age, in the Intermediate Age Group event; and, two teams of 3, all under 18 years of age, in the Senior Age Group event. 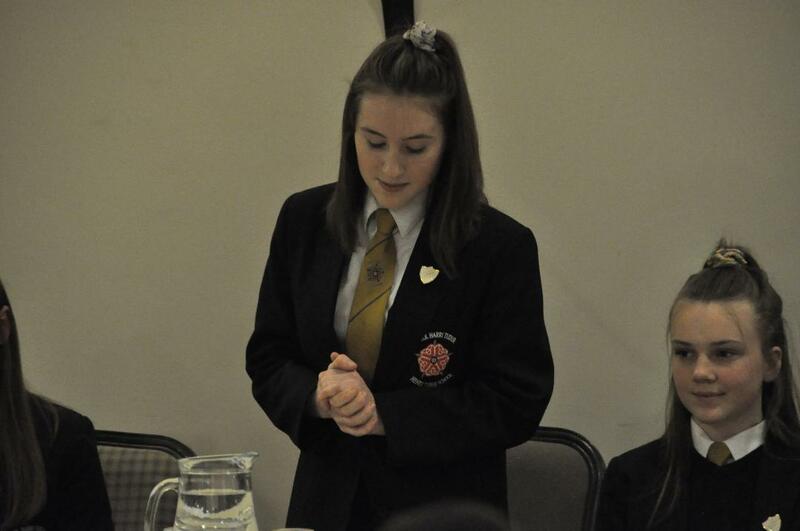 Teams comprised a Chairperson, main Speaker, and Proposer of Vote of Thanks. 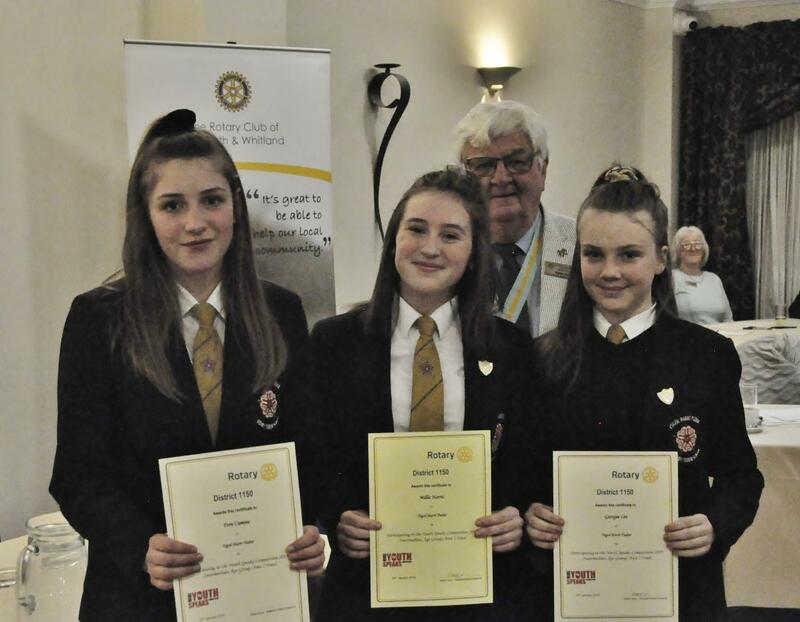 Schools participating were Ysgol y Preseli, Haverfordwest VC High School; Ysgol Penrhyn Dewi; and, Ysgol Harri Tudur, in the younger age group event. 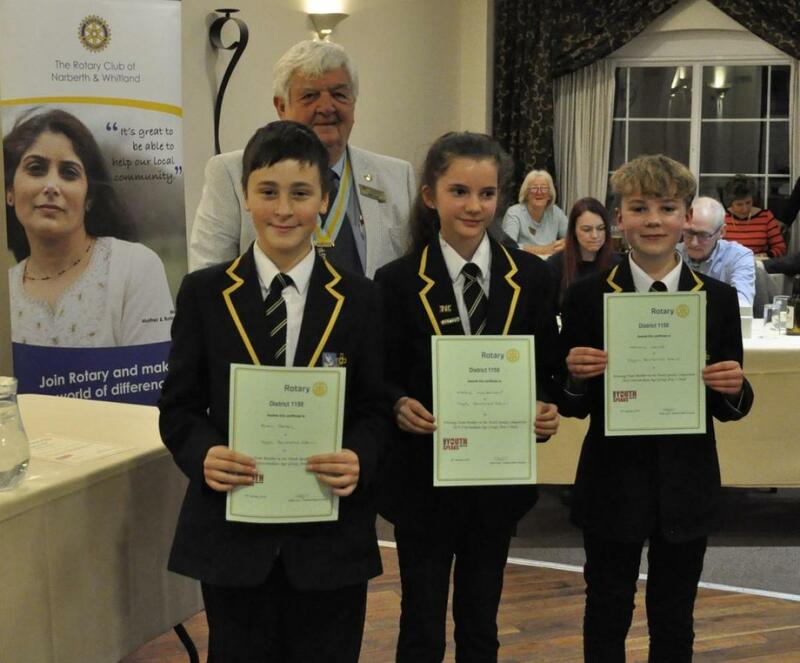 It was a very informative and entertaining competition with topics discussed ranging from the dangers of social media to whether Jaffa Cakes are really cakes or biscuits !! 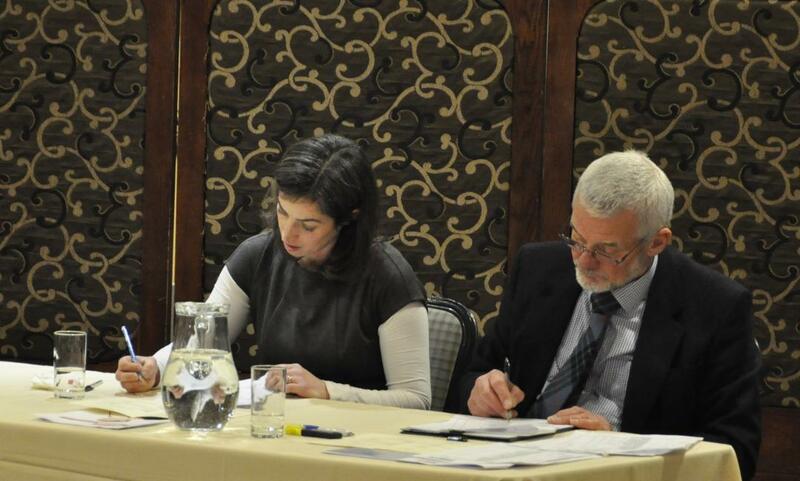 Adjudicators Rhiannon James and Clive Morgan gave kindly of their time and expertise, and were taxed to the limit in finding a winning team to progress to the next round. 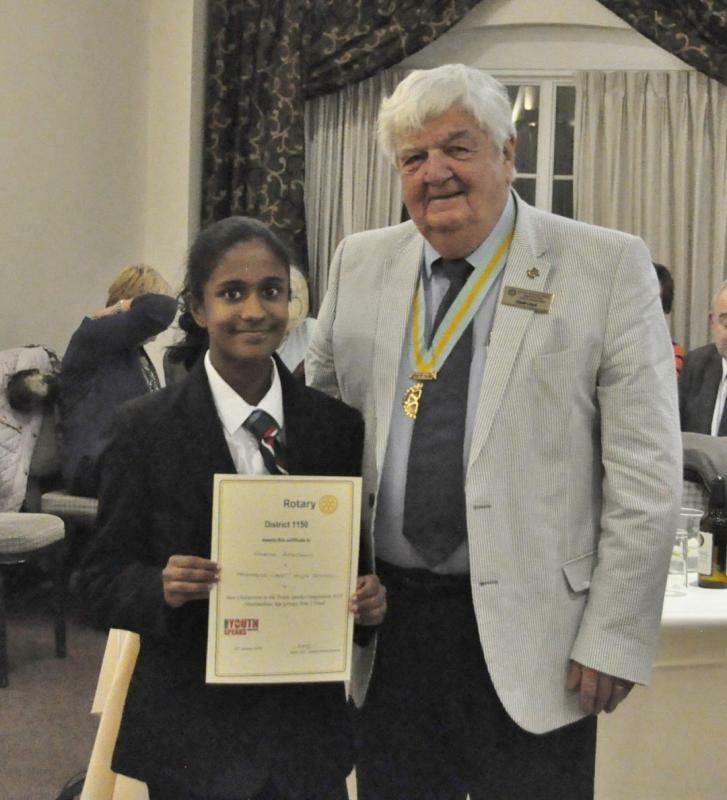 Thanks : Nivetha Athithan of Haverfordwest High School as best Chairperson ; and Nathan Howe of Ysgol Penrhyn Dewi as best Speaker. 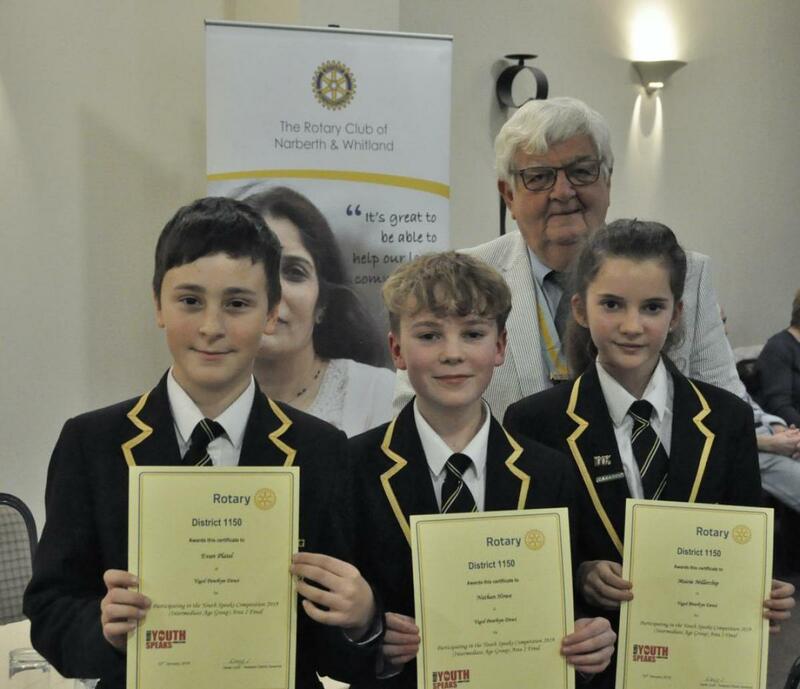 The winning team was declared as that from Ysgol Penrhyn Dewi, comprising Maisie Millerchip, Evan Platel and Nathan Howe. 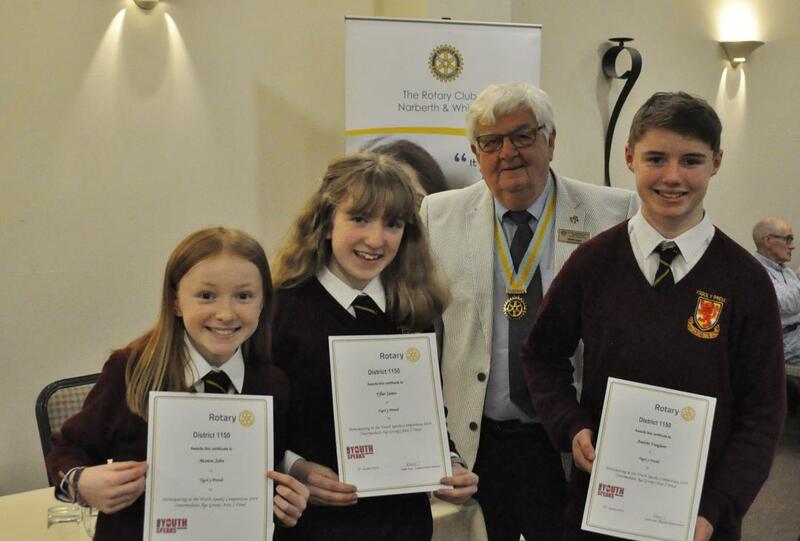 Each team member was presented with a certificate by Rotary District 1150 Assistant Governor Derek Lloyd. 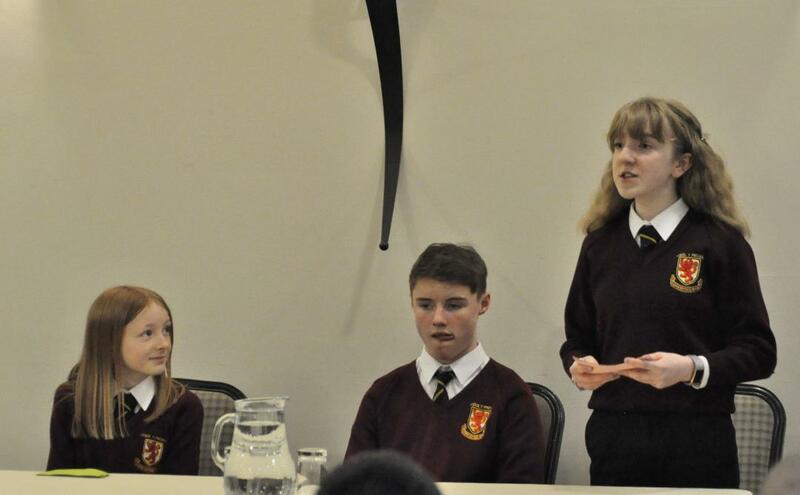 The Senior Age Group Competition followed with teams from Ysgol Dyffryn Taf and Haverfordwest High School going head to head for a place in the next round. 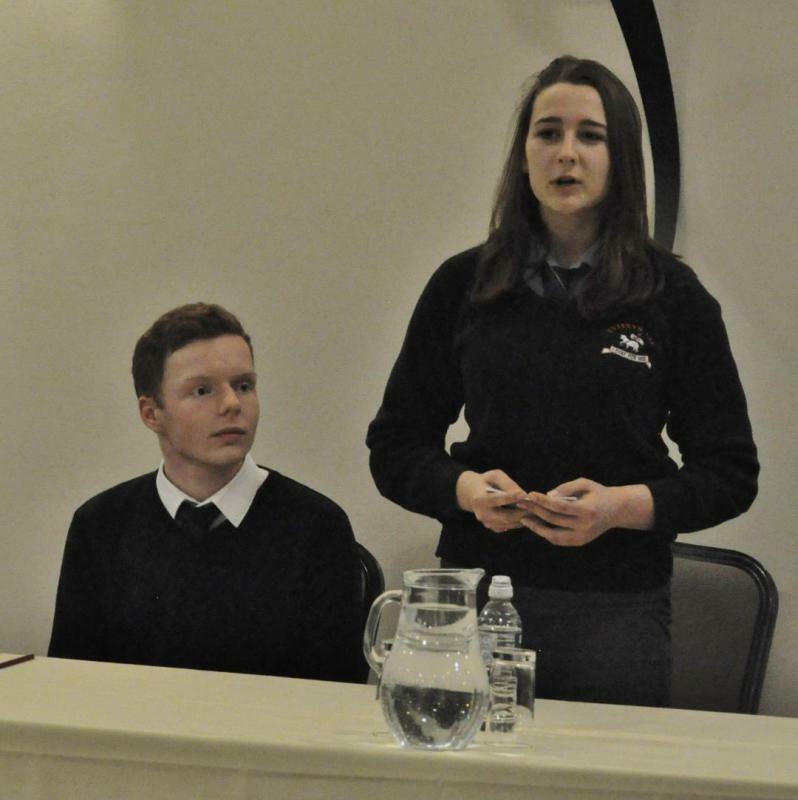 Their respective topics for discussion addressed gender equality in sport, and the importance of adequate university funding. 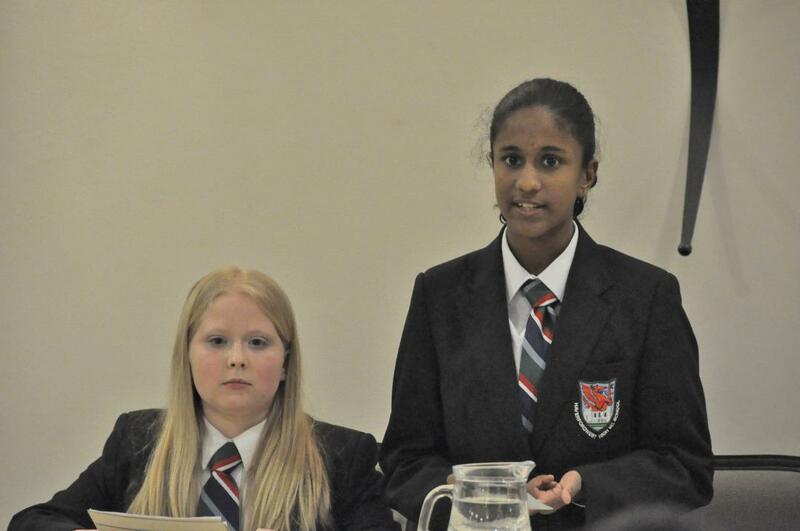 The judges, in their summing up, clearly stated how very difficult it was to determine a winning team ; the performances were so close. 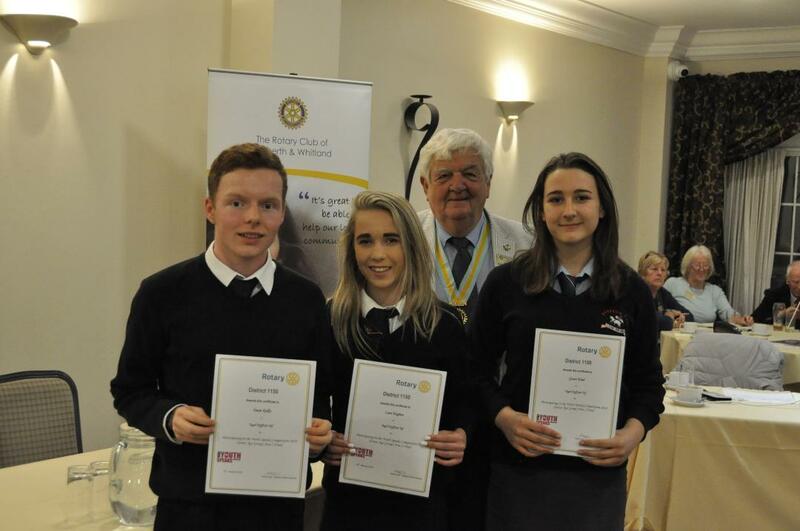 However it was the team representing Haverfordwest High school that was selected to represent West Wales in the senior event of the next round of the competition. 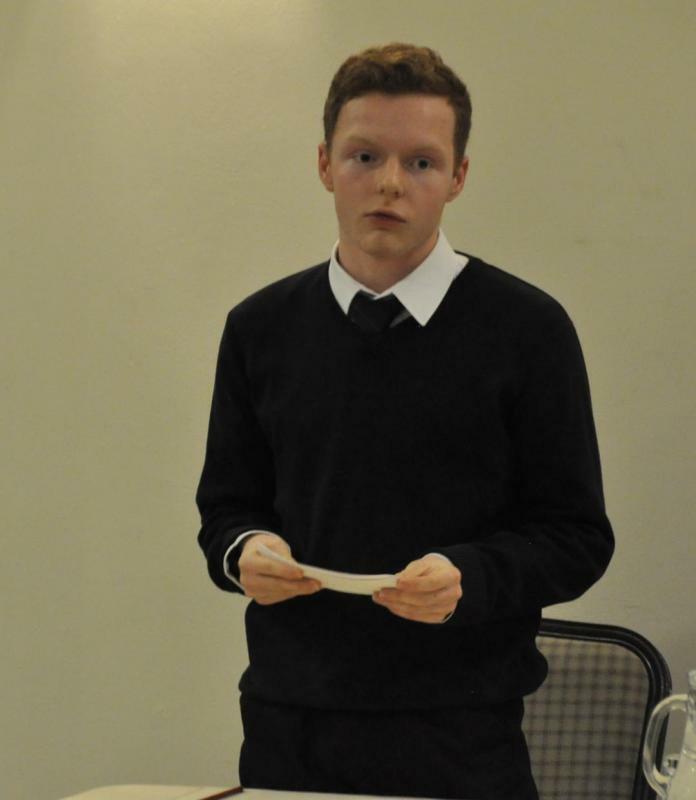 The team comprised Cara Jeffery as Chairperson, Mary-Anne Johns as Proposer of the Vote of Thanks, and Euan Sinclair as the main Speaker. 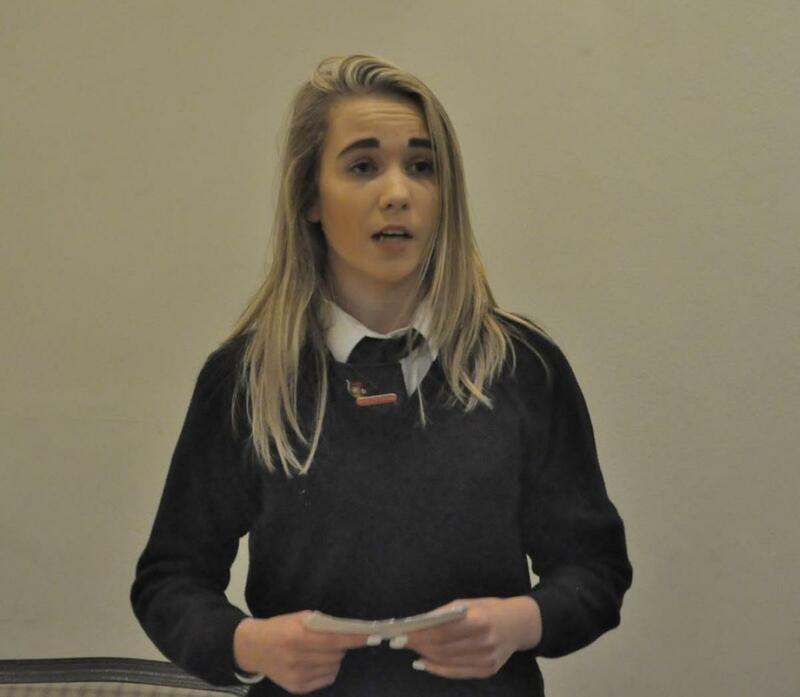 wished Ysgol Penrhyn Dewi and Haverfordwest High School teams the very best for the next round of this UK wide competition. 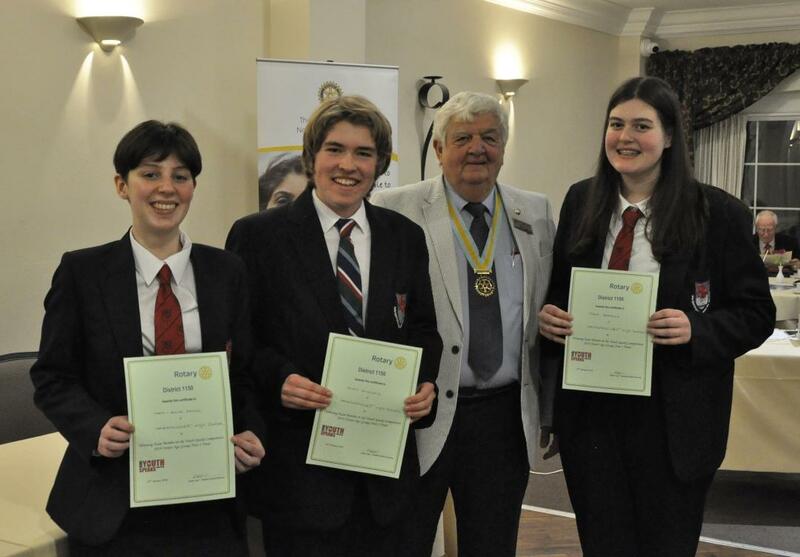 The two teams will be competing at the King Henry VIII School, Abergavenny on March 16th .